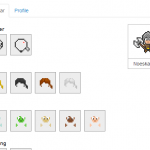 HabitRPG Review – Achievement Unlocked: Gamification Done Right! My current situation in HabitRPG. Not doing too bad! 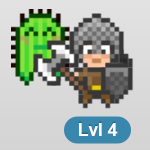 That’s me in HabitRPG. Pretty cute huh? Check out my Cactus pet and snazzy outfit! The HabitRPG store. What to buy, what to wear? 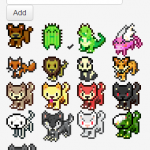 The pets of HabitRPG. I got myself a cute cactus! 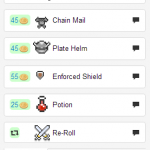 Continue reading HabitRPG Review – Achievement Unlocked: Gamification Done Right! Posted on February 23, 2013 October 13, 2013 Categories Productivity, ReviewTags gamification, HabitRPG, mongodb, pomodoro, productivity15 Comments on HabitRPG Review – Achievement Unlocked: Gamification Done Right! Gamification in your PhD? Gamify Your Life with HabitRPG! Is gamification a suitable technique for maintaining motivation and momentum in your PhD? While I dislike buzzwords like these a lot, I think gamification has great potential in many applications. I guess most people are familiar with the success of Stack Overflow, a well-known example of gamification done right, but can techniques like these be successfully applied to everyday activities as well? Continue reading Gamification in your PhD? Gamify Your Life with HabitRPG! Posted on January 18, 2013 October 13, 2013 Categories PhD Pro Tips, ProductivityTags gamification, HabitRPG2 Comments on Gamification in your PhD? Gamify Your Life with HabitRPG!